Your use of the Site is at your risk. Ambertech makes no warranties or representations as to the accuracy or completeness of any information contained in the Site. Ambertech is not responsible to you or anyone else for any loss suffered in connection with the use of this website or any of the material on it. This includes, but is not limited to, the transmission of any computer virus. Before using any downloaded file, you should carry out an appropriate virus check. This website includes links to other sites which may be of interest to visitors to the site. However, Ambertech makes no promise as to the accuracy or currency of the information on those linked sites. No link to another site is in any way an endorsement or recommendation of the information on that site or goods or services provided or promoted through that site. All trademarks mentioned on this website belong to their respective owners. Ambertech owns the copyright in the content on this website, unless stated otherwise. No material on this website can be reproduced, adapted, distributed, stored in a retrieval system or transmitted without the prior consent of Ambertech. You may only use the content for non-commercial or personal uses, unless you have received approval from Ambertech. You may print out any content on this website for your personal use. All other use, copying or reproduction of this website or any part of it is prohibited (except to the extent permitted by law). None of the content may be reproduced on any other Internet website without prior approval from Ambertech. (a) These terms and conditions of sale issued 10 September 2012 replace any previous terms and conditions of sale published, issued or used by Amber Technology Limited (ABN 86 003 231 187) or any Australian division or subsidiary of Amber Technology Limited (“Amber”). (b) All tenders and quotations issued by, all orders placed with, and all arrangements entered into by Amber for the supply, provision and/or delivery of goods and/or services are subject to these Terms and Conditions unless specified in writing between Amber and other party being a person, firm or company who or which is seeking to purchase from Amber or to whom or to which Amber's quotation is addressed (“Purchaser”). (c) An agreement between Purchaser and Amber for supply of and payment for goods and/or services (“Agreement”) will be upon these Terms and Conditions to the exclusion of all other terms and conditions and all prior oral or written representations. (e) Agreement is made when an order is accepted by Amber. No order or offer shall be binding on Amber, and no Agreement formed, until accepted by Amber in writing or in such manner as Amber in its sole discretion determines. (f) Unless previously withdrawn all quotations are valid for thirty (30) days from the date shown thereon, but are not to be construed as an obligation to sell and no Agreement or contractual relationship arises there from until the Purchaser's order has been accepted by Amber. (ii) exclude goods and services tax ("GST") except where otherwise stated and Amber will invoice Purchaser, and Purchaser must pay to Amber, the valid GST amount. occurring between the date of Amber’s relevant quotation or tender or, where there is no such quotation or tender, from the date of Amber’s acceptance of the Purchaser’s order, as the case may be, and the date of supply of the relevant goods and/or services shall be borne by the Purchaser. Any request by the Purchaser for variation of an Agreement must be made to Amber in writing showing full and detailed information thereof, and Amber will advise promptly prices and terms and conditions for the variations concerned. No variation work will be commenced unless and until Amber receives a signed acceptance from the Purchaser of the terms and conditions and price of such variations. Amber reserves the right to refuse any such request for variations. (a) Where goods are to be delivered to a nominated address Amber shall be deemed to have delivered the goods in accordance with the contract if it obtains a receipt or signed delivery docket for the goods from any person at that address. (b) If a nominated address is unattended or if delivery cannot otherwise be effected or the goods cannot be dispatched for any reason beyond Amber’s control, Amber may store the goods at the Purchaser’s risk and expense or take such other steps as Amber considers in its sole discretion to be appropriate. (c) Amber shall not be responsible for unloading goods at the point of delivery. (ii)In the case of goods which are in whole or in part subject to special design, manufacture or other non standard requirements, the delivery or completion period stated in any quotation, tender or Agreement is subject to the Purchaser having given Amber full final and adequate instructions and/or drawings and having fulfilled any other requirement specified by Amber to enable Amber to proceed uninterruptedly with the supply and/or manufacture of the goods. (iii) Where Amber is required to install and/or commission the goods, the delivery or completion period stated in any quotation, tender or Agreement is subject to the Purchaser having fulfilled all requirements referred to in (ii) above and further is subject to site availability acceptable to Amber and completion of all activities necessary to enable Amber to install and/or commission the goods. In all cases, Amber will use its best endeavours to meet the time quoted for delivery of goods or completion of the installation of goods. However the time so quoted is an indication only and shall not be considered a binding commitment upon Amber. Amber shall not be liable for any loss or damage suffered by the Purchaser or otherwise arising out of the Amber's failure to meet the times quoted. (a) The Purchaser shall be responsible for ensuring the prompt return of the goods to Amber within 7 (seven) days (or alternative period of time specifically agreed in writing). (b) The Purchaser shall be responsible for all damage to the goods incurred while the goods are in the Purchaser's possession, and undertakes to reimburse Amber for the goods replacement costs or repair costs at Amber 's discretion. (a) Except as otherwise agreed in writing by Amber, payment for products or services shall be made in full, including freight, handling, packaging and insurance charges, before physical delivery of the goods or services. (b) Where delivery of goods or services to Purchaser is effected before full payment is received, Amber will invoice due amounts on shipment, and except as otherwise agreed in writing Purchaser must settle all amounts due within 30 days of date of invoice. (c) Notwithstanding any previously agreed credit account and payment arrangement, if Amber considers in its sole discretion that the financial condition of the Purchaser so warrants, it may decline to deliver or install goods or carry out the work unless the Purchaser provides a satisfactory security for the purchase price. Should the Purchaser fail to comply with this provision Amber may cease deliveries and/or leave the site with any re-establishment or other costs thereby incurred to be borne entirely by the Purchaser. (d) Should the Purchaser intend to arrange lease or hire purchase finance for the purchase of the goods or any part thereof, the Purchaser shall notify Amber of such intention and shall arrange for the lease or hire purchase documentation to be completed in sufficient time to permit settlement to be effected by the finance company on or before the date of delivery or installation. (i) to charge interest on amounts due from the date when due until payment is received by Amber at the rate of 2.5% per cent per month. (ii) where Amber still retains title, to retake possession of the goods and to give the Purchaser written notice that Amber intends to resell the goods after the expiry of seven (7) days from the date of the notice and if the Purchaser fails within that period to pay the purchase price with interest thereon then Amber shall be released from all obligations under the Agreement or other contract with Purchaser. (iii) to commence legal proceedings without notice and the Purchaser shall pay all Amber’s legal and other costs incurred by Amber in seeking collection of the due amount. (a) No goods shall be returned to Amber without the prior authorisation of Amber. (iii) Amber may apply such other conditions as it may deem necessary. (a) Where Amber is not contracted to install the goods, Amber representatives may, if so required by the Purchaser, provide advice on the siting, installation (if appropriate) and operation of the goods. In providing this advice the representatives of Amber are expressing personal views derived from their experience in the industry but except as provided in clause 11, Amber shall have no liability whatsoever to the Purchaser in respect of any such advice given by any representative. (b) Where specified by Amber in relation to goods being supplied and or to services including installation service, the Purchaser shall at its own expense provide power of appropriate quality and at the required locations. Amber shall be under no liability whatsoever should any loss be incurred and/or damage suffered including consequential loss or damage as a result of the required power not being continually available. (c) If any repairs to or maintenance of the goods (other than those covered by Amber's normal warranty provisions) are to be carried out by Amber, and the Purchaser does not have a current Maintenance Agreement with Amber, then the cost of such work shall be charged to the Purchaser at Amber normal rates for such work. (a) Property in each unit of the goods does not pass until such time as payment in full for the goods has been made and the Purchaser does not owe any other money to Amber on any account whatever and whether or not such other money has become due for payment. Until such time, the Purchaser will hold all the goods supplied as bailee for Amber and must keep the goods separate from other goods in the Purchaser’s possession and store them in a manner that identifies them as belonging to Amber. (ii) enter any place where the goods may be located so Amber can retake possession of the goods. (e) If the Purchaser is unable to grant Amber any such licence the Purchaser, on being requested by Amber so to do, shall immediately dismantle such combination, extricate the goods and deliver them to Amber. Amber shall not be liable and is hereby indemnified by the Purchaser for any damage caused by or costs incurred in dismantling the goods. (ii) the proceeds of any sale of any products into which the goods have been mixed or converted by any process as equals the amount of the debts at the time the money is received (‘the Proceeds’) as bailee, fiduciary agent and trustee for Amber. (i) it must hold the Proceeds on trust for Amber. (v) it must not assign or encumber the Proceeds or do any other act in derogation of Amber’s legal or beneficial interests. (viii) for the purposes of identification of different consignments of the goods purchased from Amber and receipt of Proceeds, the Purchaser agrees that the principle of “Last In, First Out” shall be applied to any items which cannot be distinguished. (x) Amber trace the Proceeds in equity. (iii) The security interest granted by the Purchaser to Amber pursuant clause 9 of these Terms and Conditions of Sale shall constitute a purchase money security interest as defined in Sec 14 of the PPSA. (b)The Purchaser undertakes to execute all documents and do all such further acts as may be required by Amber to facilitate and effect registration under the PPSA of the security interest(s) granted by the Purchaser to Amber. (e) The Purchaser further agrees that where Amber has rights in addition to those under Part 4 of the PPSA, those rights will remain unaffected and will continue to apply. (f) Until property in the goods passes, the Purchaser must not give Amber a written demand or allow any other person to give Amber a written demand requiring Amber to register a Financing Change Statement under the PPSA or enter into or allow any other person to enter into the register of personal property securities a financing change statement under the PPSA. (g) The Purchaser acknowledges that it has received value as at the date of first delivery of the goods and has not agreed to postpone the time for attachment of the security interest as defined in the PPSA granted to Amber under these Terms and Conditions of Sale. (h) The Purchaser irrevocably grants to Amber the right to enter upon the Purchaser’s property or premises, without notice, and without being in any way liable to the Purchaser or to any third party, if Amber has cause to exercise any of Amber’s rights under Sec 123 of the PPSA, and the Purchaser shall indemnify Amber from any claims made by any third party as a result of any such exercise. (b) For Amber to hold or obtain any such licence consent or authority then Amber shall apply for the same, but if the same is refused this Agreement of other contract shall forthwith come to an end, and neither Amber nor the Purchaser shall be under any liability in respect thereof. 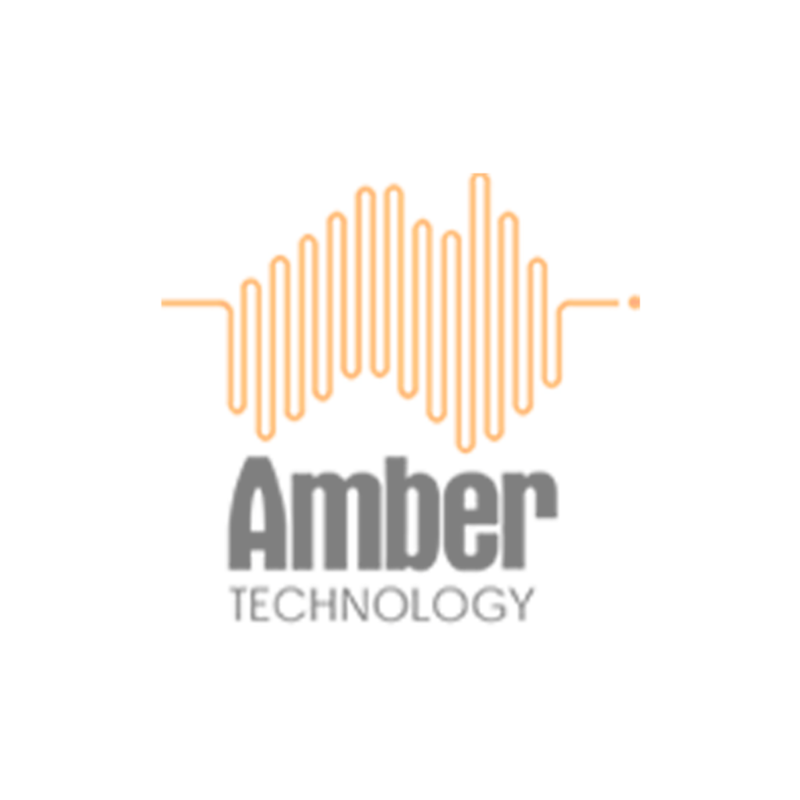 Where required by Amber, the Purchaser shall execute and deliver to Amber prior to delivery of the goods, an end user operating system licence or other software licence in a form required by Amber or the supplier of the goods to Amber. (ii) shall not be liable to compensate the Purchaser for any loss (including but not limited to loss of profits and consequential loss) or damage to person or property, or for death or injury caused by an act or omission of Amber, its employees or agents including loss or damage arising out of the installation of the goods or from failure of the goods. Amber shall not be liable for failure to perform its obligations if the failure arises from circumstances beyond its reasonable control, including but not limited to fire, explosion, strikes, lock-outs or any other industrial disputes, failure or refusal of its supplier to supply the goods, inclement weather, acts of God, Governmental action. In no such event shall the Purchaser be entitled to damages of any kind for late performance or failure to perform. The Purchaser shall not assign its obligations hereunder without Amber's written consent. A provision of or a right created under these terms in favour of Amber may not be waived or varied except in writing signed by Amber. Amber may elect not to exercise its rights arising from a breach of any provision of these terms and such election, even if the breaches are continuous and multiple, shall not create any estoppel or presumption against Amber. A quotation, and any contract or Agreement of which it shall form the basis, shall be interpreted and enforced in accordance with the laws for the time being in force in the State of New South Wales and the Purchaser agrees to submit to the jurisdiction of the Courts therein.